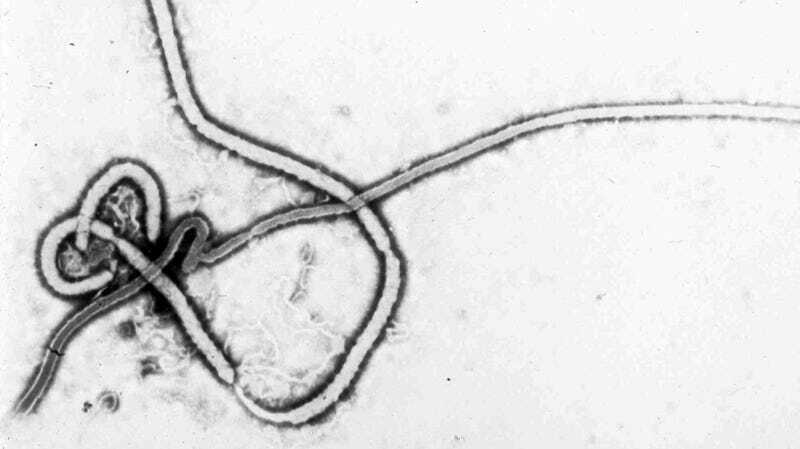 An American medical worker in Africa may have been too close to the deadly Ebola virus that is currently devastating the Democratic Republic of the Congo. He returned to the US and is now in a hospital in Nebraska, where doctors keep a close eye on him. On Saturday, the University of Nebraska Medical Center announced that it would monitor an American who may have been exposed to the US military while receiving medical care in the Democratic Republic of the Congo. The man has since been flown to central Omaha and is carefully monitored for symptoms. So far, according to the NPR, he does not seem to be in danger. "This person may have been exposed to the virus, but is not ill and not contagious," said Ted Cieslak, an infectious disease specialist at Nebraska Medicine and Associate Professor of Epidemiology at the University of Nebraska Medical College's College of Public Health a statement. "If symptoms occur, the Nebraska Medicine / UNMC team is one of the most skilled in the world to deal with." Ebola is contagious only after the onset of symptoms, which include high fever, muscle aches and later include heavy bleeding and vomiting. The symptoms can occur between two days and several weeks, and the man is monitored for up to two weeks. At the moment, the man is technically not a patient, but when he gets ill, he is transferred to the Biocontainment Unit of the center. At that time, the UNMC said it would report regularly on its condition. This would not be the first UNMC encounter with Ebola. During the most widespread Ebola outbreak to date, which affected nearly 30,000 people between 2014 and 2016 and killed more than 11,000 people, doctors at the center treated and monitored several people who had the disease. And the state is one of the few that has its own biocontainment unit. It goes without saying that the man in the US does not pose a risk to the health of others, if not the fact that there are many. Even government officials panicked when the virus last came to the States. The current eruption in the Democratic Republic of the Congo is not as far-reaching as the 2014 eruption that hit mainly West Africa, but it is already the second largest outbreak in the known history of the virus. According to the World Health Organization (WHO), at least 591 people have been suspected of getting Ebola and at least 357 have died. And despite the greater availability of experimental vaccines and experimental drugs during this outbreak, external factors have favored spread. Much of the Democratic Republic of Congo is involved in violence, with constant conflict between rebel militias and the government. This makes it difficult for healthcare workers to track potential transmission chains, vaccinate vulnerable people, and reach patients in a timely manner to treat them (recently a conflict between protesters and government forces led to patients and staff from a government health center in Washington fled Beni). The US has, under much criticism from public health experts, withdrawn its government medical staff from the Democratic Republic of the Congo and cited security threats to the violence. While the World Health Organization reports, there is evidence that the recent wave of cases has begun In some areas, there is still a chance that the outbreak will spread beyond the borders of the Democratic Republic of the Congo.